Awards season is now in full swing, with the 2017 American Music Awards next up on the docket. 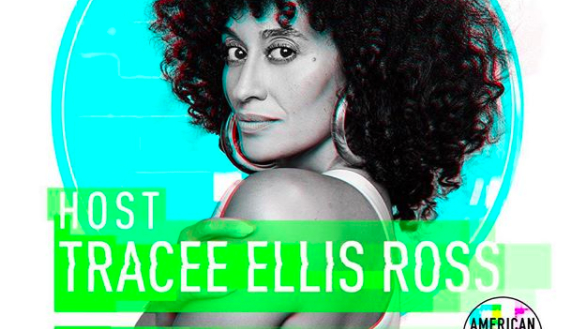 The annual affair, which will be hosted by black-ish star Tracee Ellis Ross this year, is set to take place at Los Angeles' Microsoft Theater, with the awards to air live beginning at 8pm ET Sunday evening (Nov. 19). As far as nominations go, this year, Bruno Mars is up for an impressive eight awards with Drake, Kendrick Lamar and The Weeknd each up for five. Post Malone, Rae Sremmurd, Migos, Childish Gambino, Bruno Mars, DJ Khaled and Khalid, among others, are also on this year's nomination list. Additionally, music fans can expect Kelly Clarkson and P!nk to open the show with a duet, with this year marking the 15th anniversary of Clarkson winning American Idol. Lady Gaga, Alessia Cara, Demi Lovato, Shawn Mendes, Khalid, Imagine Dragons and more are also all slated to perform. The illustrious Diana Ross has been selected as this year's Lifetime Achievement Award recipient and will also perform, making the fact that the iconic singer's daughter has been slated to host the event that much more special. "There's so much of an emphasis on youth, but to see a woman whose career has spanned so many decades, that is still performing, still on stage, still singing live, still looking gorgeous ... it shows you what's possible," Tracee Ellis Ross shared of her mom's achievement and scheduled performance, speaking with ABC News. "And people who've never seen her ... it's worth it!" The 2017 AMAs air tonight beginning at 8pm ET. For information on how to watch, please see here. See below for the list of nominees and constantly updated list of tonight's winners.